As is typical of news that authorities want to limit the reporting of, Robert Mueller chose a Friday evening news dump to announce that the first charges have been placed in the Trump/Russia collusion fairy tale. Arrests resulting from the charges could happen as early as Monday. Many believe that the charges center around Paul Manafort’s activities over the past 11 years. I believe this signals that Mueller is running a little scared. 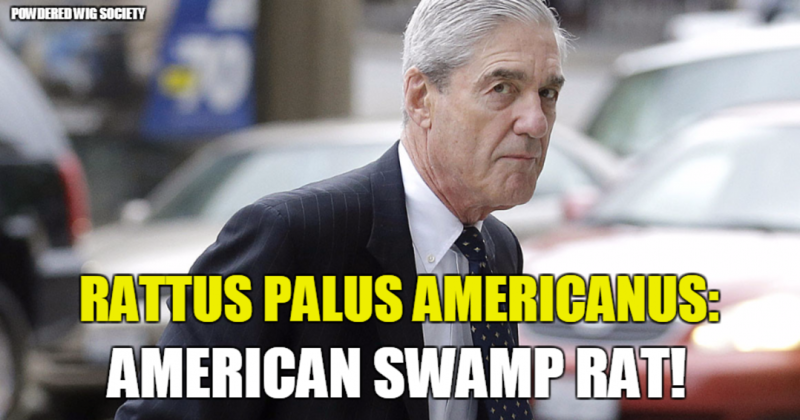 He knows he is implicated in the coverup of Hitlery’s REAL Russian collusion scheme, Uranium One, which is nothing less than treasonous, and he aims to deflect attention away from that case and his own involvement by creating a competing scandal, as though anything since the Rosenbergs could compete with Uranium One. No matter who is charged, Jeff Sessions should unrecuse himself, fire Mueller immediately, and go full force after Hitlery, Obama, Comey, Mueller, Rosenstein, and McCabe. All of these swamp rats are still causing great damage to the nation, three from inside the government. A federal grand jury in Washington has reportedly approved the first criminal charges in special counsel Robert Mueller’s investigation into Russian meddling in the 2016 presidential election. CNN and Reuters reported that an indictment was approved Friday. The criminal charges are said to be filed under seal, so it is unclear who is the target or what the charges entail. Mr. Mueller was appointed in May to probe Russian efforts to interfere in the U.S. election and any coordination between the Kremlin and associates of President Trump’s campaign. He is also authorized to investigate any matters that arise directly out of that investigation. CNN reported that the target of the indictment could be taken into custody as soon as Monday. Special counsel spokesman Peter Carr declined to comment. The development comes months after the special counsel team intensified its focus on Mr. Trump’s former campaign manager, Paul Manafort, and raided his Virginia home in search of tax documents and foreign banking records. Mr. Manafort previously worked for a Ukrainian political party. Mr. Mueller’s team is also said to probing why the White House kept on former National Security Adviser Michael Flynn after the Justice Department warned that he had withheld information about his conversations with the Russian ambassador to the U.S.
Mr. Mueller’s team has also expressed interest in events said to be significant to the investigation, including Mr. Trump’s decision to fire FBI Director James B. Comey and the president’s involvement in crafting an initial statement about his eldest son’s 2016 meeting with a Russian lawyer. Investigators sought interviews with six current and former White House advisers on those matters. Mr. Trump, a prolific user of Twitter, has yet to say anything about the reported indictments. As of Saturday morning, he had tweeted twice, but neither message mentioned the special counsel investigation developments.